Considering the fact that WordPress powers 18.9% out of the 700 million websites, WordPress sites are susceptible to vulnerabilities, and many hackers pay heed to find the weakest link in WordPress site's security. And so, security has always been an area of concern among website owners running WordPress powered sites. 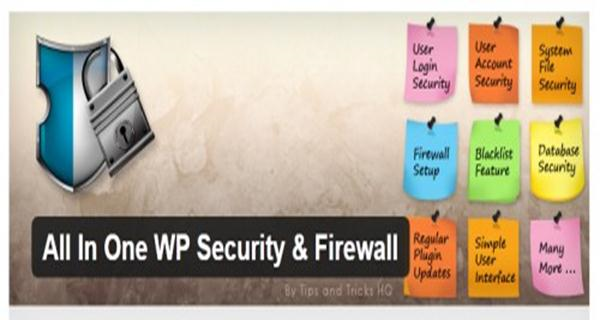 While you can find a huge community of users ready to provide support on securing any WordPress website, you can also find several security plugins to protect your site from an attack. Let us now look at the top 5 WordPress security plugins that help to maintain the security of your site. Designed and maintained by iThemes, the iThemes Security plugin (formerly known as the Better WP Security) has been downloaded over 3 million times and has an impressive rating of 4.7 out of 5, making it the number one WP security plugin available online. It offers users with more than 30 ways to protect their WordPress site and to keep it secure. This security plugin can fix security loopholes by strengthening login credentials and putting an end to the automated attacks. It helps to add features into the site with one-click activation. In order to access advanced security features, you'll have to purchase iThemes Security Pro – which is a worthy choice considering the noteworthy security features that the pro version offers. 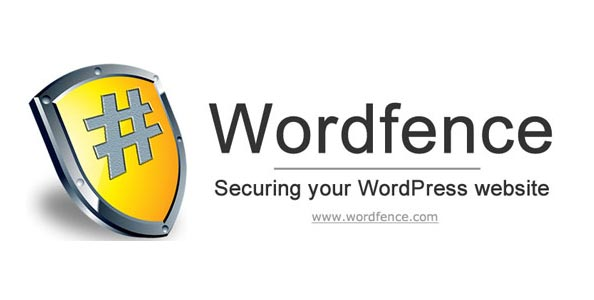 Next6 in our list is Wordfence Security plugin which has been downloaded over 3 million times and has acquired 4.9 out of 5 rating from users. This security plugin not only makes your WordPress website more secure but also makes it 50 times faster. It's completely free and helps to carry out a server-side scan on your site's source code to check whether the code is infected or not. And then later compares the scanned results with official WP repository including plugins and themes. It comes with tons of features including two-factor authentication, improved login security, reporting security threats to site owners and much more. With over 1.1 million downloads and 4.8 out of 5-star rating, BulletProof Security holds the third position in our list of best WP security plugins. This plugin helps to protect WordPress website by blocking XSS and SQL Injection hacking attempts. Even though, WordPress is secure still a lot of sites requires a secure .htaccess file to strengthen their security. The BulletProof Security plugin help copy, rename and then move your .htaccess files to either the root folder or wp-admin folder or both within your site's dashboard. This plugin let you switch between “.htaccess website security” and “.htaccess maintenance mode” with just a single click. Fourth in our list is the All in One WP Security & Firewall with over 5 lakh downloads and has a user star rating of 4.9 out of 5. This plugin has been designed by experts, however it is pretty easy-to-use and understand. It helps to add more security and firewall to your WP powered site. It checks your site for vulnerabilities and enforces incredibly good and recommended security practices. Protection against brute force attack by providing user login security, which locks down a user because of making too many login attempts. It helps schedule automatic backups and sends email notifications to notify users for creating a backup of their database and so much more. Last in our list of best WordPress security plugins is Secure Security with over 4 lakh downloads and a 4.5 out of 5-star rating. Effective Security Hardening and many more security features. The aforementioned list of 5 WordPress security plugins will definitely help you prevent your WordPress powered sites from security attacks, and helps to keep the sites secure. Make sure to go through each of the plugins and choose one that best fit your needs. Edward Jones is a web developer by profession and a writer by hobby and works for OSSMedia Ltd. a Customs Wordpress Development company. He loves sharing information regarding WordPress, Magento, Drupal and Joomla development tips & tricks. If you are looking for Wordpress Programmers then just get in touch with him.